Recently I haven’t had the chance to post anything that is especially timely, so tonight I thought I would give it a try. I also haven’t written much about politics, or anything else possibly inflammatory, so I thought I’d touch on something new. Of course, this is still fundamentally about communications and more specifically about propaganda. This evening Eric Cantor, the U.S House Majority leader of the Republican Party lost his seat in the primaries. He lost to David Brat, an economics professor and official Tea Party candidate, who won the heart of primary voters of Virginia by demonizing Cantor as not being conservative enough. Even though polls apparently showed that Brat was no threat, he managed to win by a margin of 11%. How did this happen? For all intents and purposes Fox News is the propaganda wing of the Republican Party and plays a major role in crafting and delivering the messages of the party to its viewers. I know Fox News is actually quite popular and apparently has much better ratings than other news networks in the U.S, but as a Canadian, I can’t help but feel that they are absolutely crazy. There is such an extreme reaction to anything remotely progressive, such a sense of outrage for all things not-conservative, and such an emphasis on twisting the facts. Hot button issues in America like the Affordable Care Act, Immigration Reform, Gun Reform and Gay Marriage are for some reason at the forefront of the Republican psyche. These aren’t even political issues, these issues in the minds of some Americans are about the very nature of “Freedom”. In its most terrifying and vitriolic form, it keeps people in a constant state of fear and in an endless posture of defence that breeds a sort of natural radicalism. Much like the recoiled rattle snake on the Gadsden flag, these people consider themselves in a defensive poster and are prepared to strike. This isn’t an attempt to attack these people. It is the natural result of being constantly bombarded with messaging that makes them feel under threat. It engenders distrust and suspicion. If the left is apparently a socialist juggernaut hell-bent on destroying your freedoms, it only makes sense that one would go from right to far right, and in the process, cannibalize your base. The odd element to this is that no amount of outrageous violent acts or mass killings seems to even remotely curb the propaganda. If anything, it seems to help the momentum of their arguments. The American response to a mass shooting is more gun sales and a renewed vow to protect the rights of gun owners, as if that is somehow the answer to the problem. Now this post isn’t about guns specifically, but espousing some far right-wing ideology, of which gun right seem to be a major issue. I think the de-throning of Cantor will be the first step in trying to back-peddle this process. Shootings happen and the crazies will always be out there, but losing political power and the wasted funding of vested interests will cause the Republicans to suddenly wake up and realize that they are doing real damage to themselves in addition to the general public. There are more primaries to go and given the magnitude of the upset for Cantor, it is entirely possible that more Tea Party members will unseat traditional conservatives. It’s unfortunate that a lost seat will be the catalyst for this change, rather than more important problems that arise from this situation. The Republicans have created their own monster by fanning the flames through years of negative and paranoid messaging and it will threaten their future. They have set up a situation where candidates battle to prove that each is “more conservative” than the other, so they can pass some sort of imaginary litmus test. They have created a conservative vs conservative battle that severely weakens their base. I expect in the upcoming weeks and months we will see a toning down of this inflammatory rhetoric, if only to fight for self-preservation. It will hopefully make way for a new communications strategy that isn’t so fear-based. In the short term it may help Republicans keep control of their seats, and in the long term it might help to change the trajectory of the increasingly disenfranchised and paranoid segment of the American population that is wrecking so much havoc. This entry was posted in media, Politics and tagged Cantor, communications, Gadsden, GOP, Politics, Primaries, Republican, Strategy, Uroboros on June 10, 2014 by The Benign Propagandist. The 2014 Paralympic Winter Games kicked off on Friday without much notice. I am not saying this to make anybody feel guilty for not supporting our Paralympic athletes, because I also haven’t watched any of the events (in our mutual defense, since the games are being held in timezone that is ahead by 8 hours, I also missed more of the Olympic games than I expected). Back in 2001, the IOC agreed that the host city of the Olympic games would also host the Paralympic games, which makes a lot of sense. It would be really great if both games took place under the umbrella of one event, though I understand that there are issues about accommodations and logistics. But if the IOC is going to bind the Olympics and Paralympics together, it would make more sense to have the Paralympic games first and the Olympic games second, instead of the way they are sequenced now. It could be positioned as a sort of warm-up to the Olympics, allowing everybody to get into the spirit of sport and nationalism. The athletes themselves could get more exposure. The paralympic athletes could then stay in the host city as guests and be part of the Olympics. There would be more viewers because people wouldn’t be experiencing “Olympic fatigue”. It would make the Paralympic games seem less like an afterthought and would greatly increase viewership. Increased viewership would lead to more corporate sponsorship and generally help the Paralympic athletes worldwide. My point is, if Olympic athletes are amazing for what they are able to do, then Paralympians are twice as amazing and four times as inspiring. If more people were just exposed to the nature of Paralympic sports, I think it could catch on naturally. 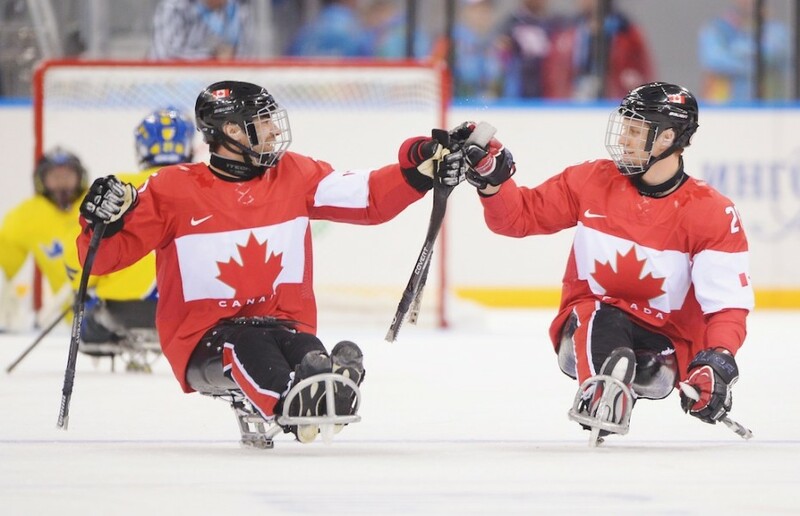 Especially in places like Canada where the World Junior Hockey Championship is considered a must-see sporting event, then sledge hockey can surely capture our national attention and admiration. This entry was posted in Canada, media and tagged canada, Paralympic games, sochi 2014, sponsors on March 9, 2014 by The Benign Propagandist.